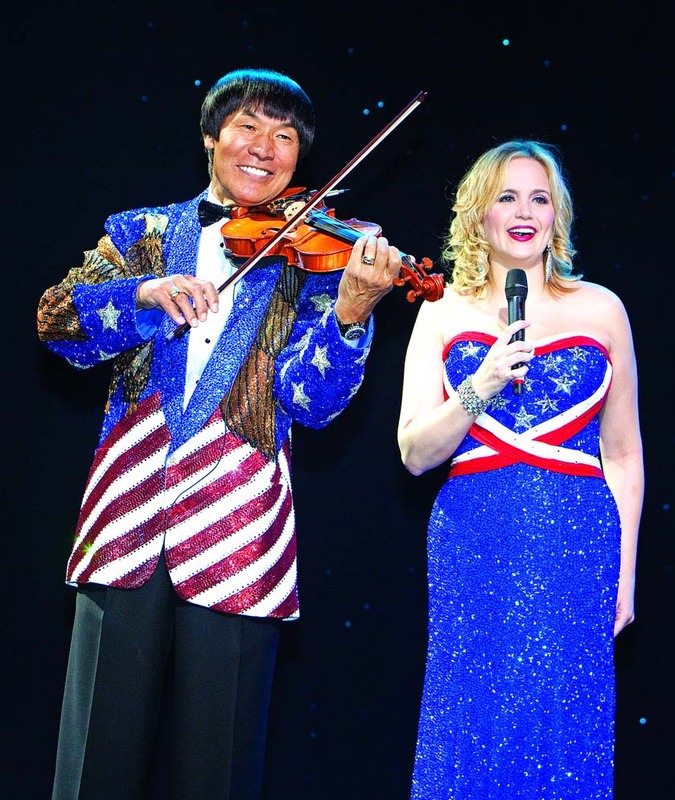 With his masterful violin playing, infectious energy and endless array of shimmering jackets, it’s little wonder Shoji Tabuchi is one of the most iconic figures in Branson. His show has delighted audiences for almost three decades. There’s very little Shoji and his accompanying musicians can’t play — from bluegrass and gospel to big band and contemporary hits. But how did a classically trained violinist from Japan find his way to the entertainment capital of the Midwest? In 1981, Shoji moved to Branson and in 1990 opened his own state-of-the-art theater. His act was now a family affair and included his wife Dorothy and daughter Christina Lingo-Tabuchi, who have brought fun and variety to the show throughout the years. These days you can enjoy performances of everything from songs by Taylor Swift and Miranda Lambert to Broadway ballads and Led Zeppelin. But there are also beloved standards that never change, including “Orange Blossom Special.” As Shoji exclaims, “I never get tired of playing it.” And audiences never get tired of hearing his playful rendition of the bluegrass classic. “Milk Cow Blues” is another long-running favorite accompanied by a hilarious herd of dancing chorus cows. Adding an international element to the show is a show-stopping performance of Taiko drums, instruments played at ceremonies and festivals throughout Japan. Another standout of the show is the bathrooms at the Shoji Tabuchi Theatre (yes, the bathrooms). After touring everywhere from New York City to Las Vegas, Dorothy was inspired by the details she had seen in different spaces. As Christina says, “My mom either goes big or she goes home.” Winning titles like “America’s Best Restroom” and being nationally nicknamed “The Million Dollar Bathrooms,” these restrooms harken back to elegance from a time long ago with hand cut crystal chandeliers, fireplaces, fresh cut orchids and opulent fixtures. If you’re in Branson during November or December, be sure to catch the Christmas show with its elegant sets and sparkling renditions of some of the season’s best songs. But whatever time of year you visit, the Shoji Tabuchi Show is a must-see. “No matter how long we’ve been doing this, we absolutely love what we do,” says Christina. And that enthusiasm is felt year after year. Be sure to catch this Branson classic. This show will put a smile on your whole family’s faces. Find showtimes and ticket information here.